Sorry it’s been a while! As you might have read in one of our last blog posts, (Here’s to a New Year) things have been crazy busy with Tanya and I. We’re still busy, but we are always doing our best to keep up with the blog! So don’t worry, we ain’t goin nowhere! Tanya came out to Santa Monica for the day to hang and we checked out a ramen restaurant that my coworker told me about. He grew up in West LA and have been going to this place all his life. So we thought we’d check it out! Tanya – Hey there. Well, the place was a bit weird to spot. It was apart of a small strip right next to the street so you have to hope there was no heavy traffic around so you and slow down a bit to take a look at the signs above. There is a small parking lot to the left of the plaza but I think Ramenya only had one or two spots. We luckily came to the place when it wasn’t busy. There are times I like to look up other reviews on a new ramen house we are going to so I can get an idea of what we are in for. I heard good reviews on the food but bad reviews on the owners of the place. But you know? The workers were pretty nice. I couldn’t complain. 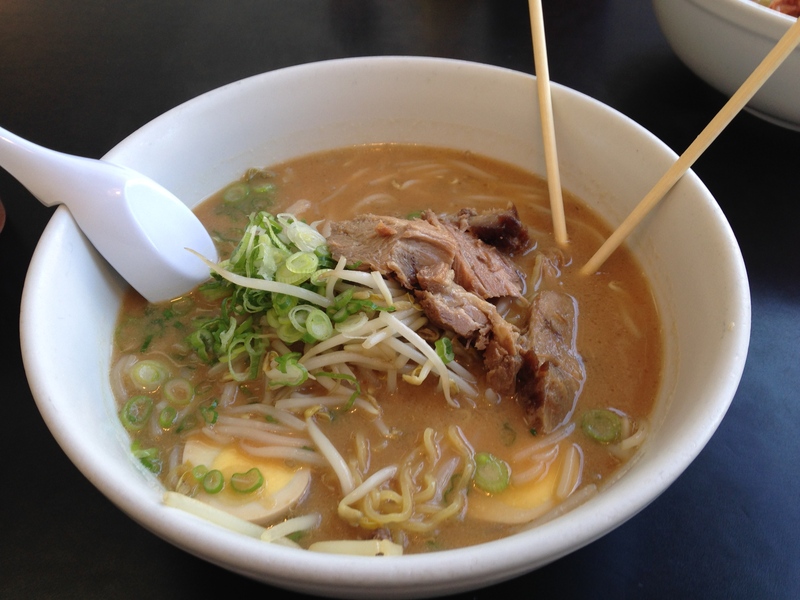 Joan – I wasn’t entirely excited about my miso ramen. The miso flavor was overwhelmingly strong and the smell was more pungent than I’m used to. And the veggie toppings didn’t seem that fresh. The chashu was indeed very tender and had a ginger flavor to it, but was a bit too salty. The noodles were too doughy for my liking. 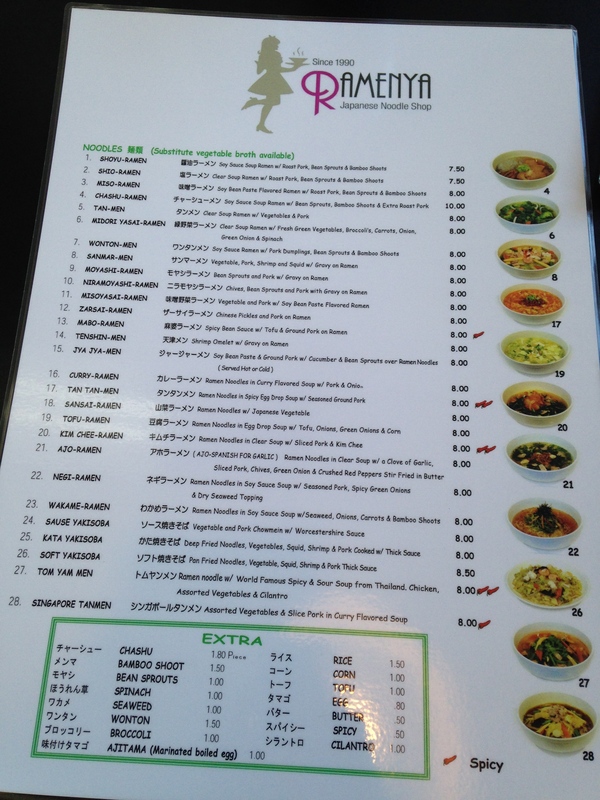 I feel bad for saying all this, but I don’t think I would order this ramen again. Tanya – I liked my ramen. The broth had just enough flavor and it wasn’t too oily. I think it was because it was more of a beef broth instead of pork based. The meat reminded me of bulgogi (Korean marinated thinly sliced beef) and round eye steak in pho. It had a good flavor but it was a bit tough. Usually that cut of beef can get tough when boiled instead of bbq’d or pan seared. I added a flavored egg and this place makes it hard boiled instead of soft boiled like most places. I like it that way at times. 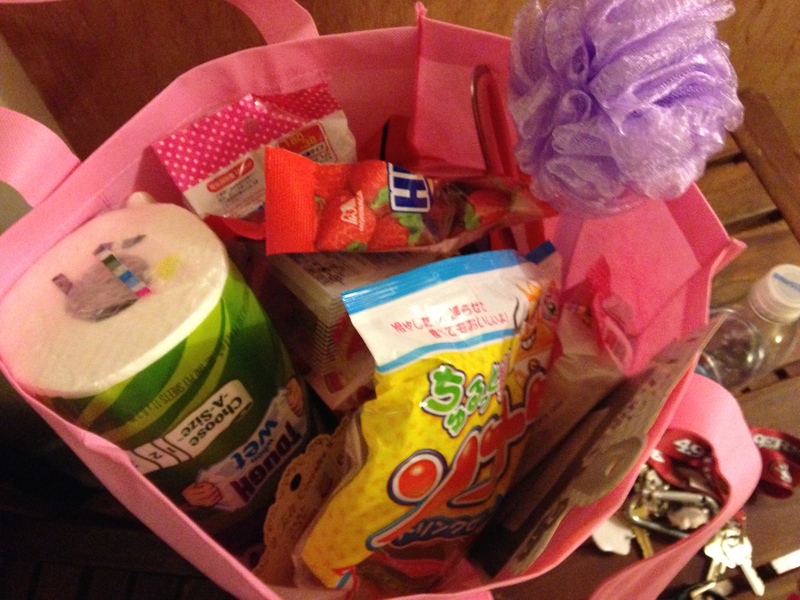 The noodles reminded me of that Korean Ramyun instant noodle. It was really good. Cooked to the right tenderness. I love it when they put in a ton of green onion. I love the flavor it gives off in soups. Now, my favorite part was the kimchee. I am a kimchee snob. I am very picky, if it doesn’t look good then I don’t want to even try it. I wish it had more in my ramen, it was just the right amount of freshness. I don’t like it when it was just made but after a couple days it is just right. 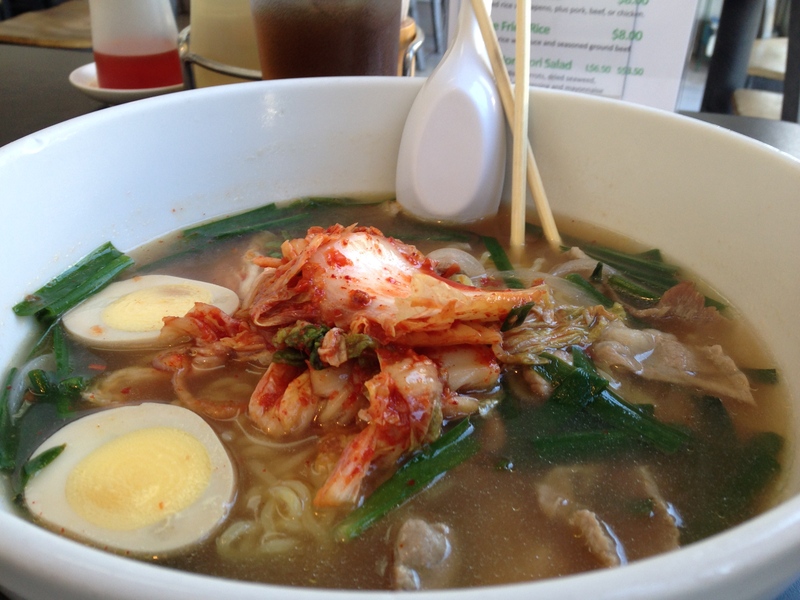 This ramen felt like it had more Korean influences than just the kimchee. I wouldn’t mind trying other things if I was in the area. A bit had for me to want to go out of my way to eat at. Ramenya is not easy to spot off the street, but this is how it looks! 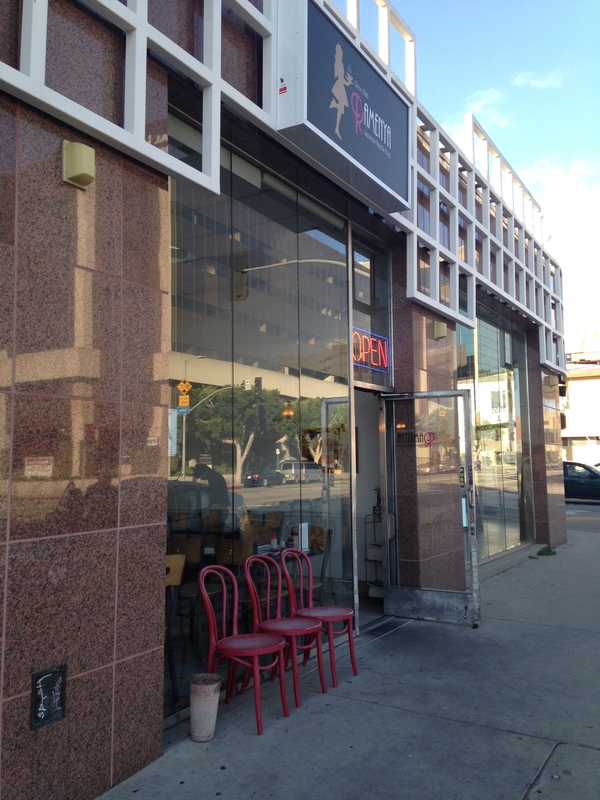 Joan – Despite my review on the ramen, I think I would give this place another try just because they have other items on the menu. The service was also very good and I loved the barley tea! It may take a while for me to go back here though, because of all the good ramen spots nearby. And of course, a ramen run in West LA is not complete without splurging at the Nijiya Market on Sawtelle Blvd. 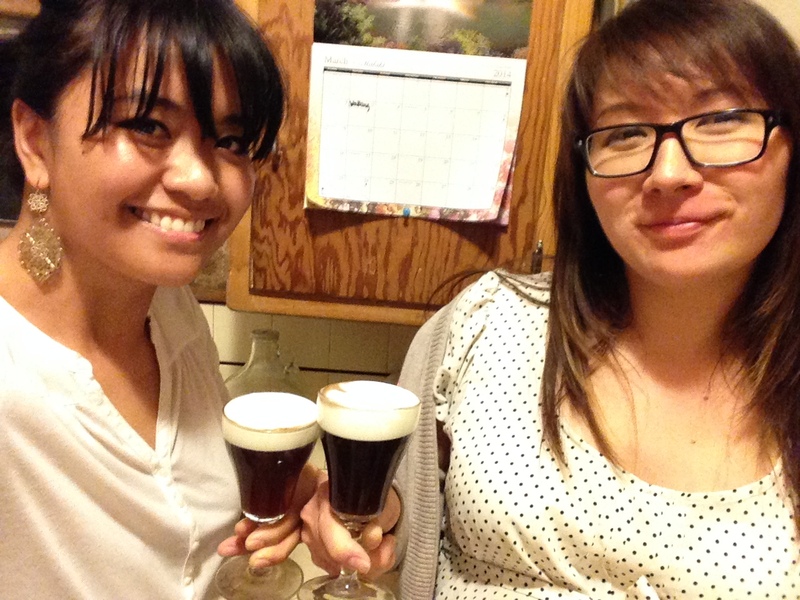 After a long day of girl talk, walking on the beach, eating ramen, and shopping, Tanya and I ended the evening with my Irish Coffee recipe. Don’t worry, Tanya had a virgin Irish Coffee. They have their own parking lot! The place is also CASH ONLY. 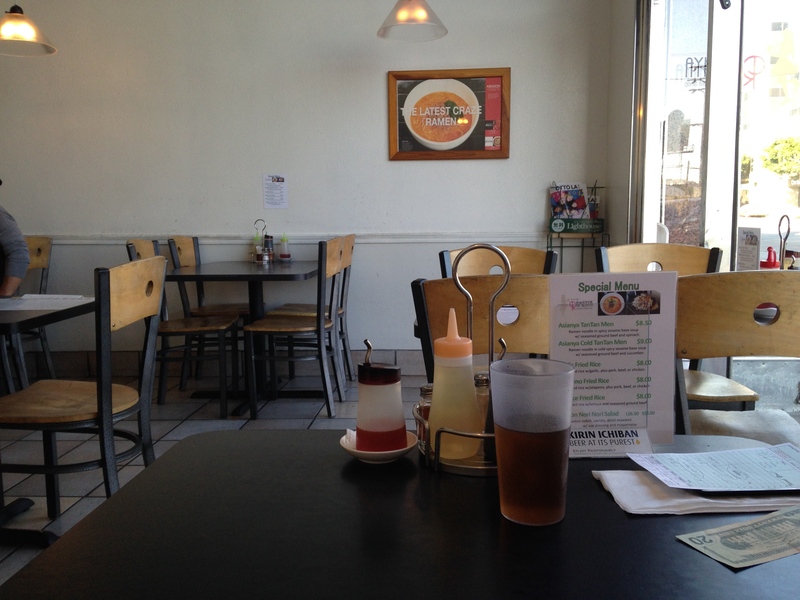 This entry was posted in Food, Foodie, Little Osaka, Los Angeles, Ramen, Ramen Run, Restaurant Review. Bookmark the permalink.